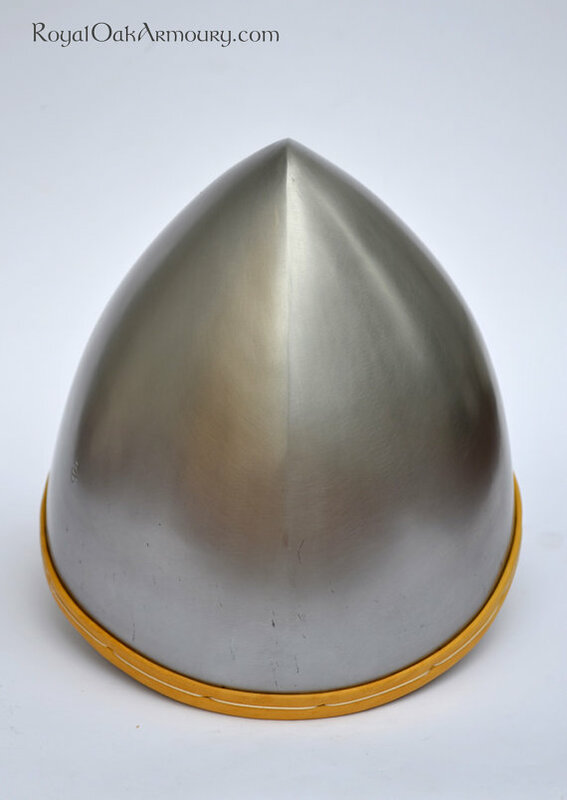 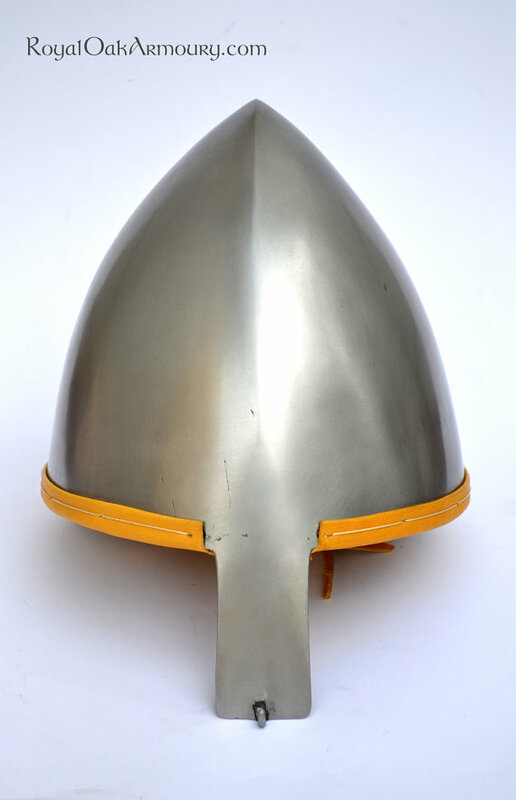 This helmet is as accurate a recreation as we can make of a crusade-era conical nasal helmet. 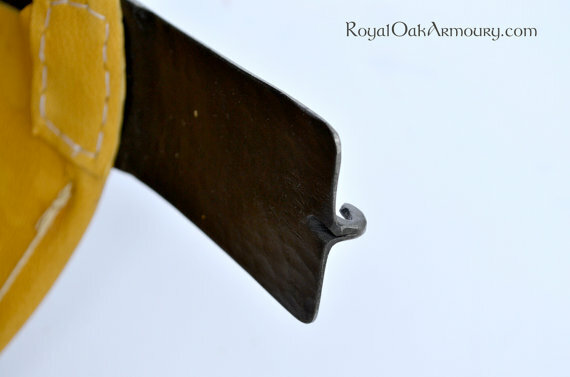 It is hot-raised from a flat sheet of steel to match original weight, and the nasal (with an integrally forged mail-hook) is forge-welded to the raised bowl. 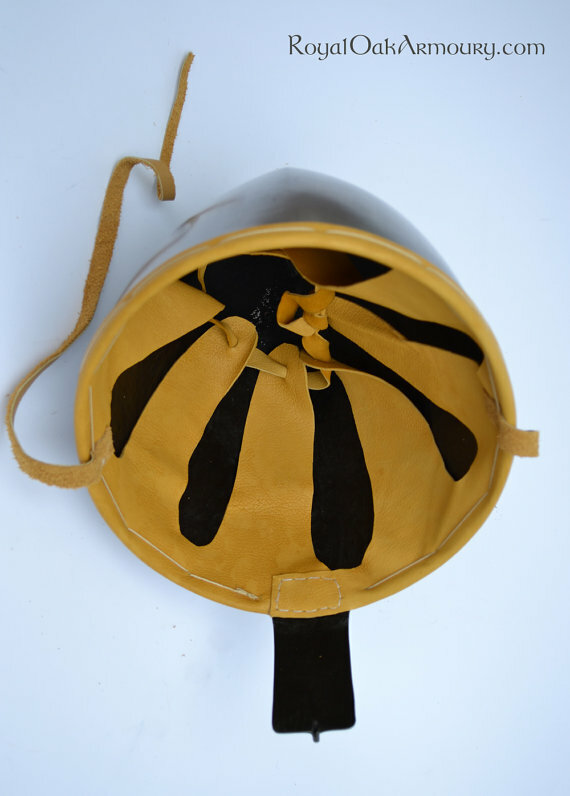 The finished helmet is then fitted with a goatskin liner, using the same pattern of holes attested on extant finds. 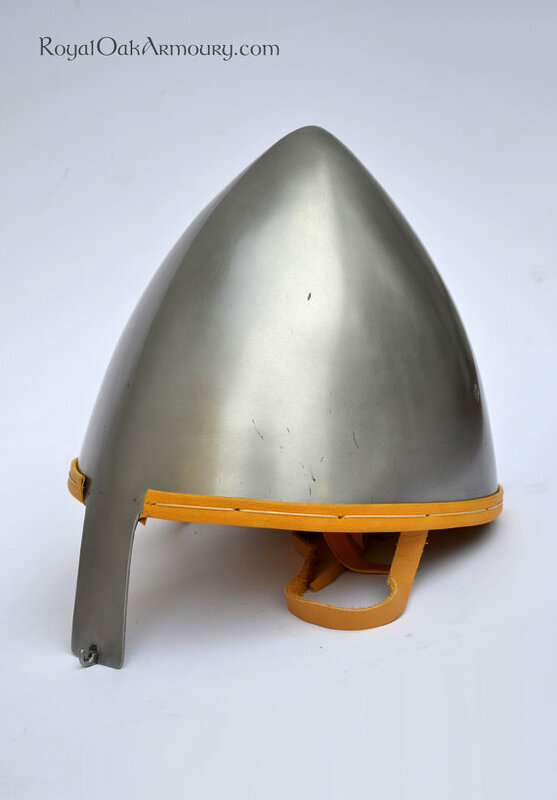 We can make a close replica of a particular extant piece, if you have a favourite. The same helmet can be made at a drastically reduced price, using modern techniques.